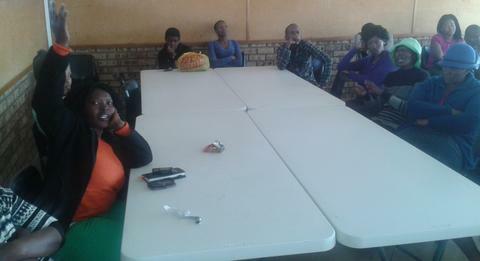 A heads-up discussion with parents led to IkamvaYouth winning the hearts and support of many in North West in a meeting held at IY Ikageng Branch on Saturday the 27th of July 2013. A detailed background of the organization was given and various issues were enlightened giving a clear layout of IkamvaYouth’s aims and objectives as a driving force towards education and development in many poor communities. The main areas of focus in the meeting included how the IkamvaYouth programme would benefit the learner through tutoring, career guidance, mentoring, e-literacy, and HIV programmes in a culture of self responsibility in learning, participating in IY holiday programmes and learning in a safe supportive environment while accessing free learning support materials. Issues of how the parents can get involved in making IY efforts succeed were also pinpointed mainly involving giving support to boost motivation on learners’ attendance, encouraging learners to participate in all IY programmes, building strong communication ethics with IY staff on matters affecting learners and smooth flow of the programme, help install discipline and build a culture of studying in learners and attending to all IY parents meeting to get new briefs and updates as well as mapping the way forward to successful goal achievements. It was also discussed that most learners would be hungry when they attend the afternoon sessions making them concentrate less during homework sessions and henceforth ideas were set for parents to prepare more food to cover for learners ‘lunch time at school as well as after school for IY homework sessions. Matters of security pertaining to burglary and theft incidents having been experience almost three times in three months from the Branch’s official opening day were also discussed and ideas were brainstormed on how best the problem could be resolved and these included hiring a security guard to patrol the premises. Parents also agreed that they will report to the branch if they hear or see any of our stolen goods in their community or from their children. The meeting brief cleared all speculation surrounding IY as it successfully officially opened for the very first time in the North West province. 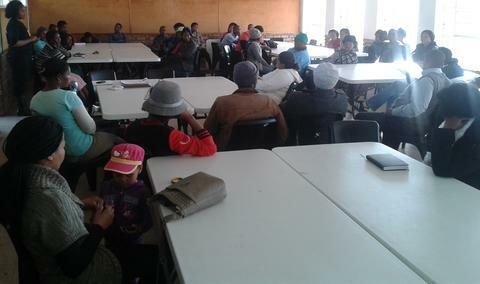 Parents were given a platform to brainstorm on the knowledge they had about IkamvaYouth as their children spent much time with the organization after school hours. ”I do not know much about this IkamvaYouth, but I must admit that since my child started attending to this programme, her school results have impressively improved…this organization is fighting for a good cause fellow parents…”, many parents remarked on this statement agreeably. Much praises over one and half term’s achievements installed hope in many parents and pre-evaluated IY’s great expectations and a gigantic future success. 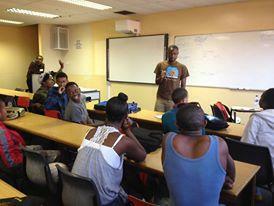 Mandela day, 18 July 2013 for us the Ikamva learners was a great opportunity for us to give back and make a change. We, the learners of IkamvaYouth: Chesterville found ourselves going to the AH Zulu Pre-School in Chesterville right opposite the Youth Centre where we attend the after school tutoring sessions. 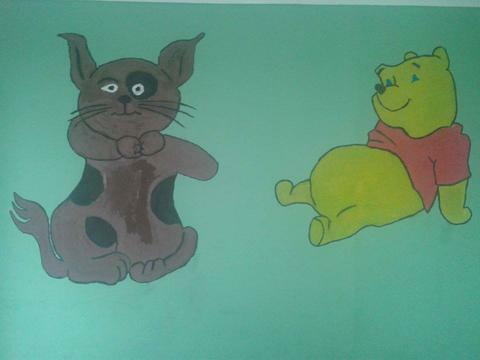 The staff members of the crèche welcomed us warmly and showed us the rooms in which we were going to be painting. We also helped with washing the windows, painting cartoon characters on the crèche wall and draw a lot of lovely pictures for the kids at the crèche to cherish. We really enjoyed ourselves and it was great helping out for more than 67 minutes. We did this to give back to the community where we the Ikamva learners reside, the same way in which the former president Nelson Mandela gave his life and fought for our freedom. For us, as the learners of IkamvaYouth giving back is very important because we receive everyday by attending at IkamvaYouth. 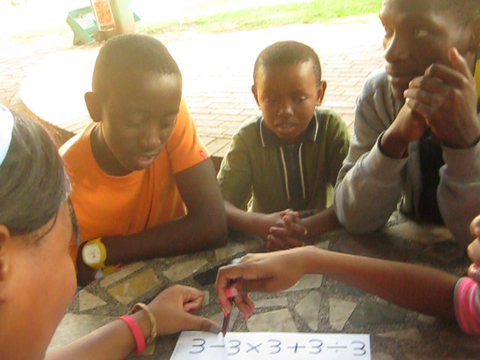 The tutors also take their time to come in and give back by tutoring us learners. So we were also giving back to the crèche and the community. 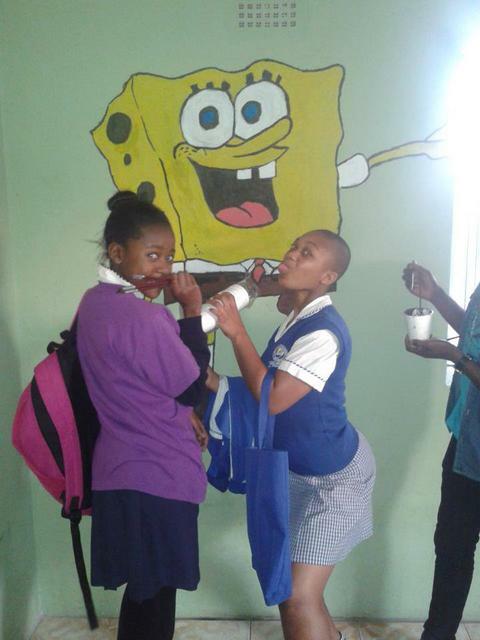 Our loving tutors also came along to assist us with the cleaning and painting. I am humbled once again by the selfless nature and humility of the man that is Nelson Mandela. He is a true hero of our people. I can only hope that his story will be treasured for future generations because humanity needs more people like Nelson Mandela. May he live long! May the almighty God bless him and give him longer lasting life. 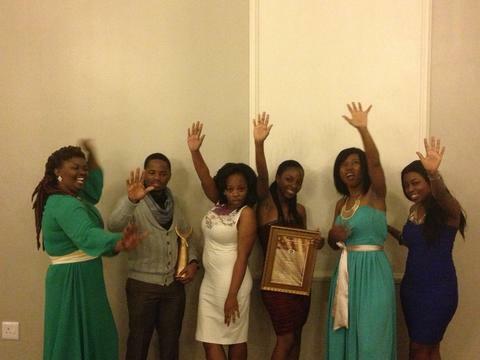 On Friday the 26th of July 2013, the KZN team of IkamvaYouth got all dolled up, and headed off to Pietermaritzburg’s Protea Imperial Hotel for the 3rd annual KZN Young Achievers Awards. The purpose of the Young Achiever Awards is to acknowledge, encourage, reward and most importantly promote the positive achievements of KZN youth aged between 16 and 35 years. The prestigious ceremony was attended by the Honourable Pietermaritzburg Mayor, Chris Ndlela, who warmly welcomed everyone to the City of Choice. 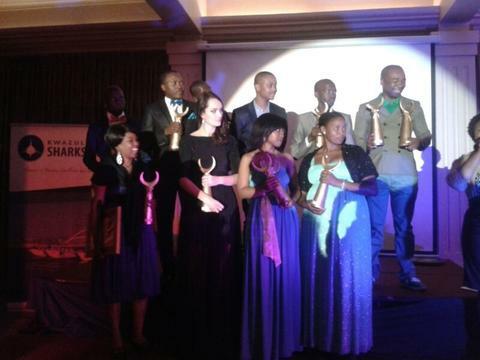 The awards recognise the achievements of youth, who are giving back to their communities in the following categories: Arts; Beauty & Fashion; Arts; Agriculture & Rural Initiatives; Science & Technology; Health; Sports; Best Media Initiative; and last but not least, Best Youth Development Organisation, which went to IkamvaYouth. IkamvaYouth isn’t new to receiving awards, but this one is particularly special to the KZN team, as it is a first for the district. 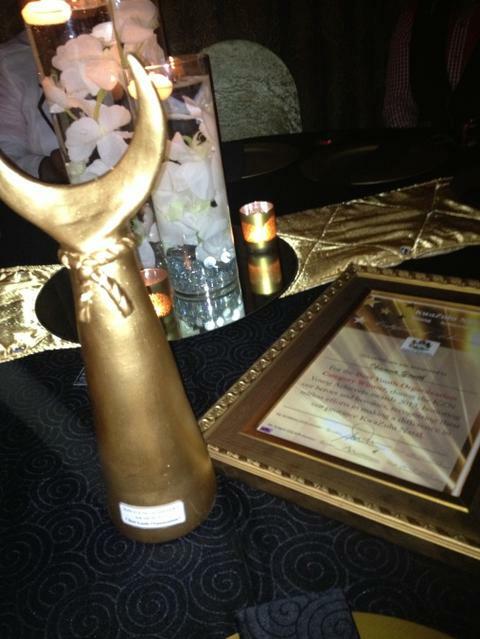 It was really encouraging to receive this award, as it was an acknowledgement of our work in KZN. The award came at a really special time, as the organisation celebrates its 10 year anniversary. Also receiving awards on the evening, were a number of individuals who are not necessarily considered “young”, but have played a key role in youth development, and made an impact on young people’s lives in KZN and across South Africa. Recipients of these honourary awards were Dr Shabalala of Ladysmith Black Mambazo, Zanele Mbokazi of Ukhozi fm, Dr Mthembu of Indoni SA, Dr Ngcobo of Ukuphila Wellness, and Menzi Ngubane of Generations. 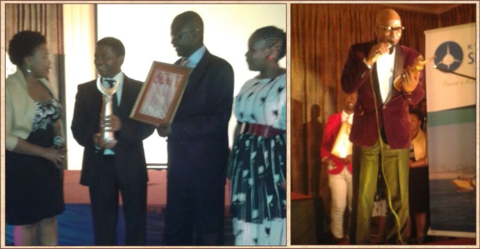 Dr Shabalala of Ladysmith Black Mambazo and Menzi Ngubane (aka Sibusiso) of Generations receiving Honourary awards. Being in a room with so many other young people who are making a difference in the community through their various fields was really encouraging. 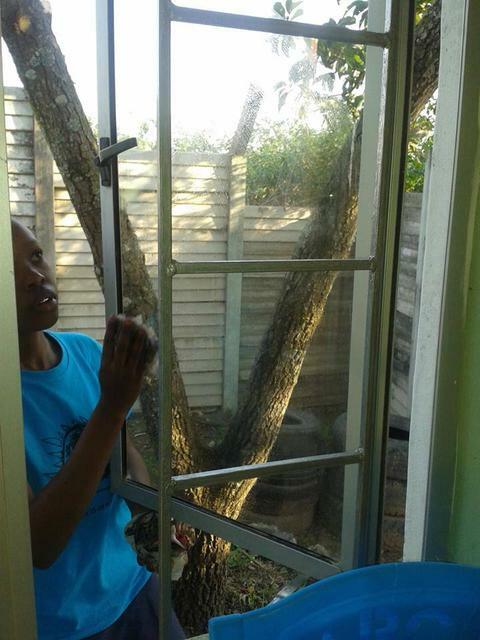 For IkamvaYouth, it just shows that Vision 2030 is indeed attainable! Team KZN: The Sky is the limit! Week 1 of Winter School 2013, all the preparations and hard work in the previous months have come down to this event. 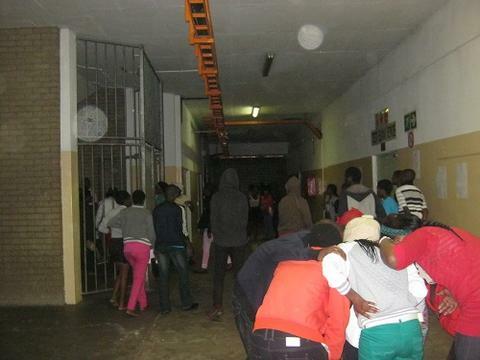 The Monday morning was a little hectic, with the bus service running slightly behind schedule for the Umlazi learners. By the time it hit 9 am, the team was already working hard to make sure everything goes as planned. The venue for this year was DUT (Durban University of Technology, our kind sponsors), and once again the two KZN branches collaborated and held a joint Winter School, which resulted in having 220 learners and 50 volunteers. 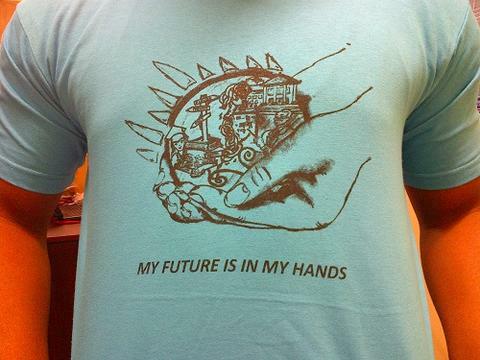 The KZN Team designed the beautiful T-shirts to go with the theme for the KZN Winter School which was “my future is in my hands”. The idea behind it was to remind and reinforce to the learners that they are in the driver’s seat of their own futures. 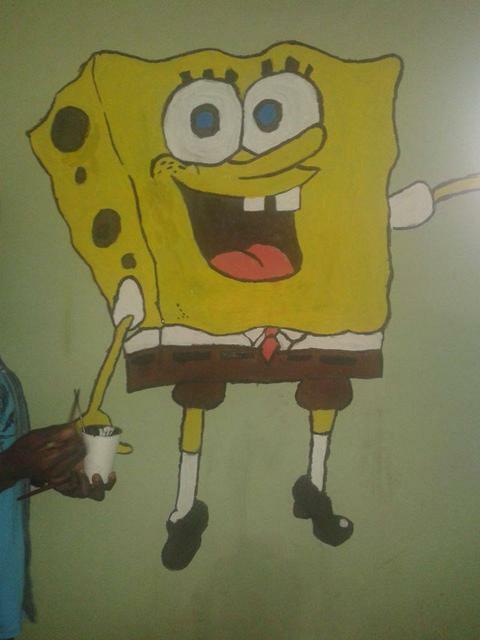 To go hand in hand with the theme a beautiful sketch was drawn by N’thabiseng Zwane from the Umlazi branch. It depicts the world, with various careers, being held by a pair of hands and the image is visual representation of the statement “my future is in my hands”. The winter school time table (Monday to Thursday) was structured in such a way that mornings would consist of academic tutoring, and the afternoons reserved for activities such as life skills workshops and talks, exercise sessions, and MIE activities and the first Friday was reserved for excursions for all the grades. One of the first creative activities that were done by the learners was a session encouraging them to reflect on what our winter school theme (My Future is in My Hands) means to them. 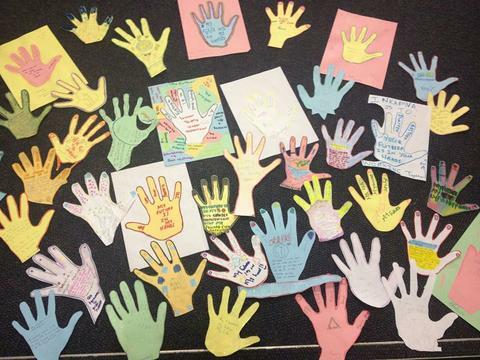 All the learners had to make “hands” out of paper that represent what the slogan means to them. Some of the learners really put their heart and soul into the creative session. Learners were offered the opportunity to share what they had created with their groups. We were also graced by the presence of World Changers Academy to speak to the grade 10 and grade 11 learners. The talks were revolved around motivation and letting the learners know that anything is possible and they should never feel like they can’t succeed in life. This is very important as learners are exposed to a lot of negativity in the township on a daily basis. While we had WCA to motivate the learners and make sure they stay forever hopeful and know they will succeed, we also had people from NICRO talk to the learners about the work they do. NICRO is an organisation that diverts offenders who have committed minor crimes (eg. Minor shop-lifting) from prison to community service and similar activities. The importance of understanding that anyone can commit an offence (sometimes not intentionally) and end up on the wrong side of the law is what this organisation stresses. Gugu Ximba, who works as a drug counselor at the Vuyani Nkosi Youth Centre, where the Chesterville branch is based, presented a drug awareness talk to the learners. She took the learners through a list of common drugs, their side effects and why the learners should stay away from them. During week one, we also had a visit from the Love life mpintshis., who insisted that all staff and volunteers leave the room as they talk strictly to learners. The purpose of this is to help the learners feel free and comfortable enough to talk about the issues they cover. These range from sexuality to abuse. 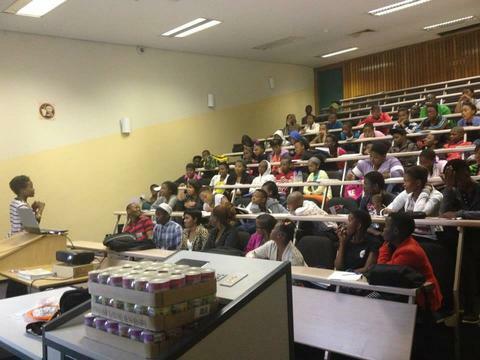 DUT was able to come on board even more through their Department of Food and Nutrition. The department was able to send one of their staff members to give the learners a talk on the importance of a balanced diet, how to achieve it and what are some of the consequences of not eating well. They also sponsored each leaner with a tin of cook-in evaporated milk. The talks were spaced over four days. Two days in the first week and two days in the second week. With most of the activities requiring the learners to pay attention and listen carefully, we needed some activities that they could actively (physically) participate in as well. In the first week all the grades had an opportunity to go to the grounds to exercise after lunch. They were accompanied by an independent fitness trainer who was there to make sure they were participating and doing everything properly. They looked forward to it, especially since they would get a chance to do something different not just sitting in the classrooms. The one activity that got all the learners very excited was the Amazing Race. We decided to create our own small version of this fun race around the campus. All four grades got to participate in the race at different times. The grade 9s and 12s were the first group. The race included a health quiz, picture puzzle, shooting hoops and solving Maths puzzles. The week ended with excursions for all the learners. 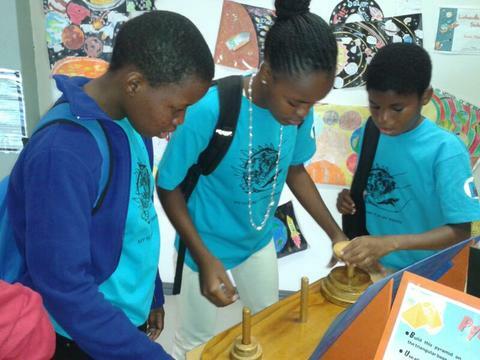 The grade 9 and 12 ventured off to the UKZN Science and Technology Centre, while the Grade 10 and 11 went to the Durban Green Corridor Estuary. 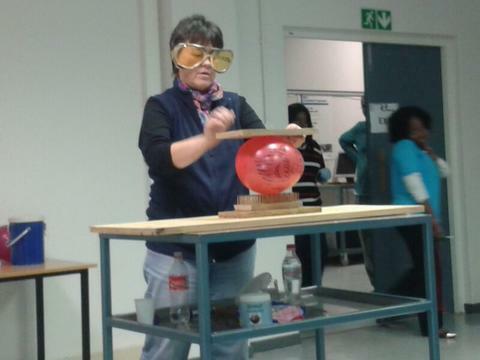 The Grade 9 and 12 learners were taken on a tour of the Science centre and also witnessed some of the experiments that take place at the centre. 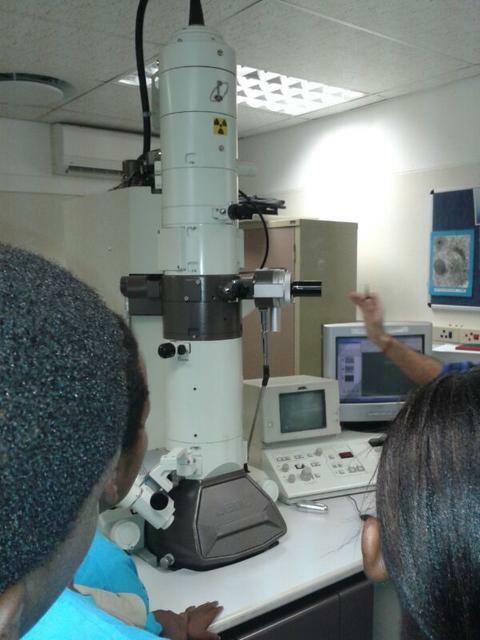 The grade 9 learners also got a chance to see the microscopes up close. 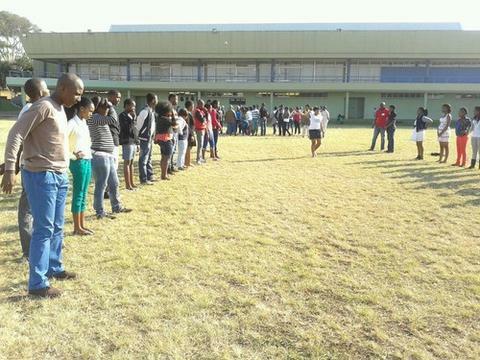 The matric group also got to do a learning styles workshop. The workshop allows participants to determine their learning styles. This allows a person to better understand how they make decisions and also how they interpret the world. It is a true eye-opener for anyone who has ever wondered why and how they do certain things different to other people. At the Green Corridor Estuary the grade 10 and 11 group did a beach clean-up. 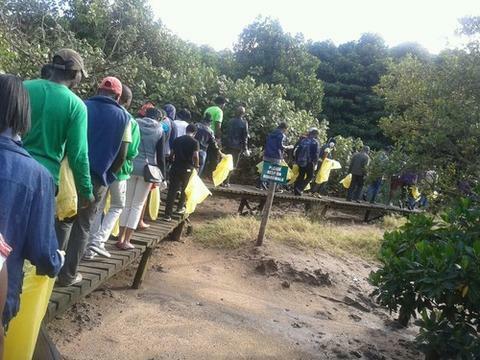 They also got a chance to see the famed Mangroves of Durban and learn all about them. All in all the first week was an exciting and great learning curve for the team. Five years ago, I found IkamvaYouth by chance and had the opportunity to work with amazing people at the Western Cape’s Winter School. This year, I came back to Ikamva on purpose. I am PhD student from the US, researching democracy and citizenship education in South Africa. I knew I had to do so some preliminary research in SA, so I made sure to schedule my visit during the Winter School. This time, I came to Gauteng, but once again I was welcomed warmly and put straight to work, developing lessons, tutoring and recruiting learners for an afternoon stream, the Peacebuilders’ Club. Before I arrived, I prepared several English fundamentals lessons and was nervous that they would be too easy, too hard or just too American. With the help of the Ikamva staff and feedback from tutors, I was able to adjust and witness some moments of real learning. No matter where you are, introducing a little controversy and debate can help to engage learners. Between family relations, the death penalty and President Obama’s meeting with President Zuma, there was plenty to talk about. 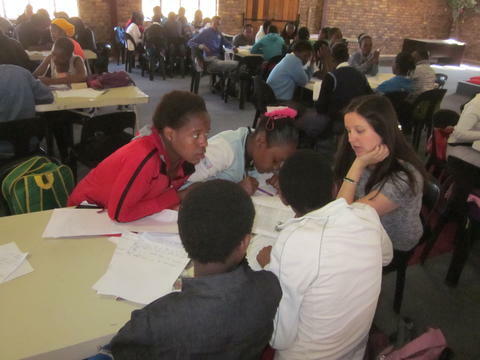 Tutoring at this year’s Gauteng Winter School was a rewarding and eye opening experience. From Romeo & Juliet and human anatomy to the French Revolution and layers of the atmosphere, I was constantly trying to keep up with the brilliant learners of Ebony and Ivory Park. More than once I had to double check my facts and ask more in-depth questions to challenge the motivated learners. I had to avoid the maths’ lessons altogether because they were over my head! I was also able to help a fantastic group of learners form a Peacebuilders’ Club. I have worked with the US Institute of Peace for several years and they have developed a great serious of activities and lessons on peacebuilding and conflict resolution for secondary school students. All I had to do was bring these activities along and the learners quickly took over and became real peacebuilders and leaders. They did skits, created art and made goals for the future of the club. I want to say a huge thank you to the Peacebuilders’ Club for being so open-minded and motivated! 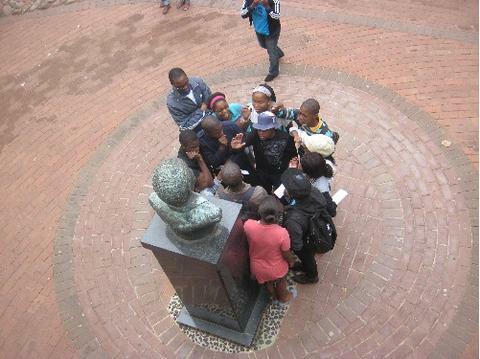 On my last day with Ikamva, the whole group went to Freedom Park in Pretoria. This was an incredible experience for me, both as a visitor, and as a student of history and citizenship. It was moving to see the memorial to those who gave their lives in the struggle for freedom, and it was equally moving to see the tutors and learners participate in a dialog about the struggle and what it means to them. This demonstration of active citizenship shows how IkamvaYouth not only helps learners to achieve in school, but also to participate in their communities and nation. I have been back in the US a week now, and I can only say a big thank you to the Gauteng staff, tutors and learners for an amazing time at the 2013 Winter School!